CHICAGO (WLS) -- A 4-year-old girl was honored on Wednesday for making a call that may have saved her mother's life. 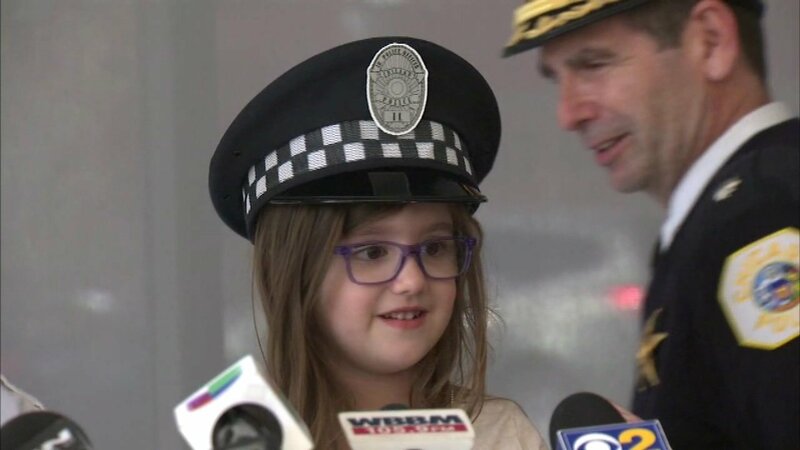 Chicago police gave Aria Koval a certificate of recognition for calling 911 as her mother suffered a severe asthma attack that knocked her unconscious. The 4-year-old was able to tell the 911 operator her address and let paramedics inside to help her mother who has since recovered. Sue Koval, Aria's mom, suffered a severe asthma attack and passed out on the floor, barely able to breathe. So Aria did what her parents taught her to do. Koval said she was having trouble breathing. She called her husband to tell him and that's the last thing she remembered. She woke up to Chicago Police Officer Anne Belluomini and her partner on her living room floor. "We've always told her if anything happens, call 911. And I never knew if she was actually listening to me. But she was actually listening and she did it that day. I was so proud of her," Koval said.